The idea that the United States has not intervened in Syria and is guilty of “inaction,” is a myth however. The United States and its Western and Gulf Allies have intervened in the Syrian conflict from early on. US planners have been fighting what the New York Times described as a “$1 Billion Secret C.I.A. War in Syria” while providing weapons to rebels through a program considered “one of the costliest covert action programs in the history of the C.I.A.” Starting in the fall of 2012, the US and its Gulf partners, under the direction of then CIA director David Petraeus, were openly sending “a cataract of weaponry” into Syria. It is likely that such shipments began much earlier without public acknowledgment, via the “rat line” from Libya, as reported by journalist Seymour Hersh. Alawite civilians in Latakia faced the prospect of being massacred if rebels had been able to capture the city, due to the virulently anti-Alawite views of Nusra Front members. Nusra religious clerics draw on the writings of the fringe 14th century Islamic scholar Ibn Taymiyya to argue that Alawites are “infidels” deserving of death. 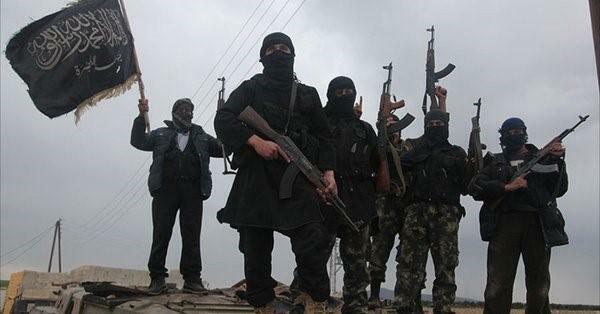 Syria analyst Sam Heller described Nusra clerics as promoting “toxic — even genocidal — sectarianism.” Rebels from the FSA, which have fought alongside and “in the ranks” of the Nusra Front throughout the conflict, also posed a threat to Alawite civilians in Latakia. Though typically considered moderate in the Western press, many FSA battalions have been armed and funded by the Syrian Muslim Brotherhood (MB). Thanks to the influence of Brotherhood ideologue Said Hawwa, the Syrian Brotherhood strongly promoted the anti-Alawite sectarian views of Ibn Taymiyya from the 1960’s until the 1980’s. This anti-Alawite sectarianism re-emerged in segments of the Syrian opposition, including in elements of the FSA, when peaceful protests and armed insurrection against the Syrian government simultaneously erupted in Syria in the spring of 2011. In parts 2 and 3, we will review US support for rebel advances in the spring and summer of 2015 in Idlib, Latakia, Palmyra, Yarmouk, and Homs, and further describe how these rebel advances nearly led to the massacre of Syrian civilians in two of the country’s main population centers, Latakia and Damascus, if not for the Russian intervention which halted the rebel advance.